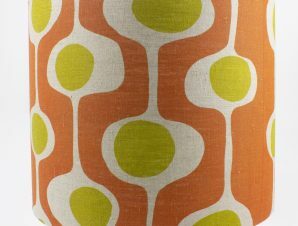 Our Orange Fluid print lamp shade creates a very funky mood in any room. 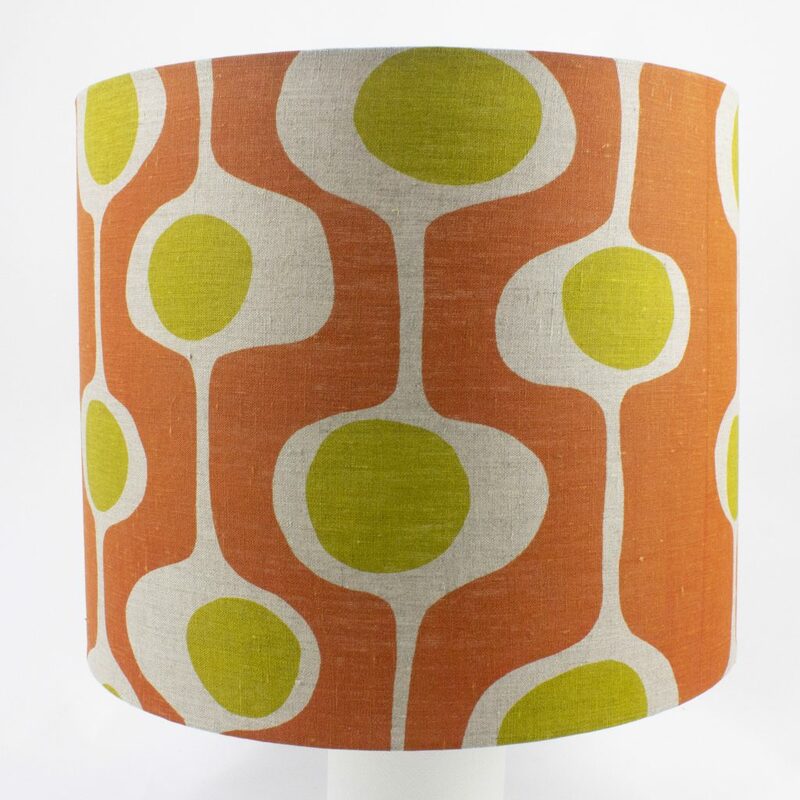 Hand printed on flax linen with a white lining this shade measures 35cm diameter and 30 cm high. This shade is available in other sizes, please contact us for prices. Note – The sample pictured is only 20cm wide. Screened and hand rolled by Bob, this design and colour way will make a striking addition to your space. Please note – these are hand made, by Bob, to order – we’ll contact you as soon as we receive your request and let you know how soon it’ll be on it’s way! Price includes freight only within Australia. Please contact us for international, wholesale or bespoke orders. Collection from our Sydney base is possible – please call for details.